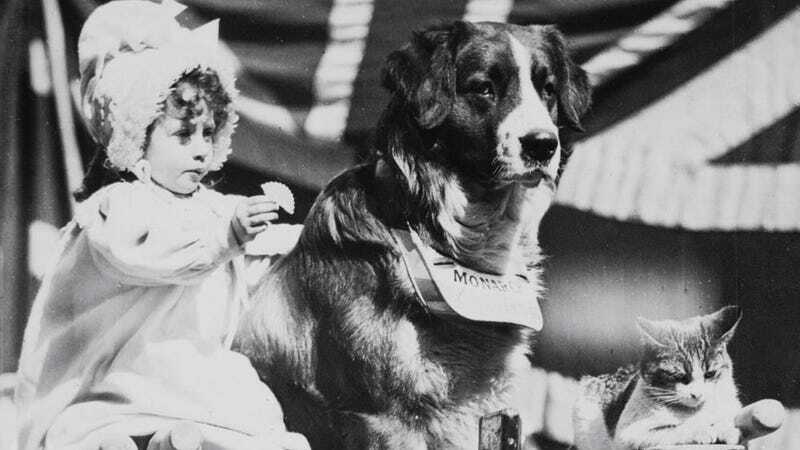 Still from “Me and My Two Friends,” 1898, one of the films shown. A film festival in London is showing incredibly high quality, newly restored early films of the Victorians—in IMAX, no less, and more specifically the absolute biggest screen they could find. It’s being billed as “The Great Victorian Moving Picture Show” and frankly, it sounds fantastic. At the Imax screenings, the films will be shown at their maximum size and, crucially, newly restored at 4K from the nitrate originals, which were scanned at 8K. It was only recently that the technology became available to get the most out of these images. “There was an opportunity to upgrade these in particular because they’re so spectacularly beautiful,” explains Dixon. The benefit of extracting all this detail and watching the films on such a giant screen is that they hardly look Victorian at all. “With nearly all of the people I’ve shown these films to there is an audible gasp when they see something from 120 years ago and they look new. That’s a very strange feeling,” says Dixon. “All of those things that tell you something is old have been stripped away.” These are films made before genres and cinematic conventions were established, before the idea of directors and stars. The images feel raw and immediate.